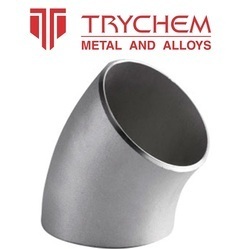 We are leading manufacturer and supplier for Segment elbow. 45 Degree Elbow and SS Elbow and Mild Steel Elbow and CS Elbow. Our organization M.A.INTERNATIONAL is instrumental in offering premium quality 45 Degree Elbow / SS Elbow / Mild Steel Elbow / CS Elbow. The demand of provided elbows is increasing as these are in-tandem with the pre-defined quality standards of the industry. 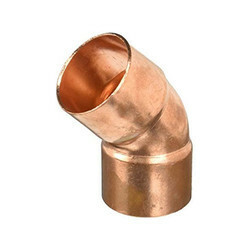 Our company has created a niche in the field of offering 45 Degree Elbow. Floline Flanges & Fittings Pvt. Ltd.
- Long Radius Elbow 45 deg. Available sizes: 15 mm to 100 mm O.D. Also Available: High quality Solvent cement.